When I was younger, fishing was all about catching more fish. In recent years my perspective has changed pretty significantly. Just being out there and enjoying the environment is now my main focus – catching a few fish is just a bonus. 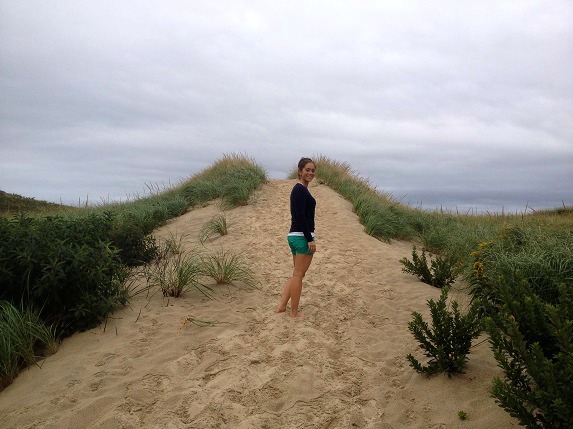 This past season I was fortunate to visit and explore some of Cape Cod’s most scenic and peaceful places. Some of these spots were hard to get to and well off the beaten path. Others were easier to access. Either way they are all awesome to experience. 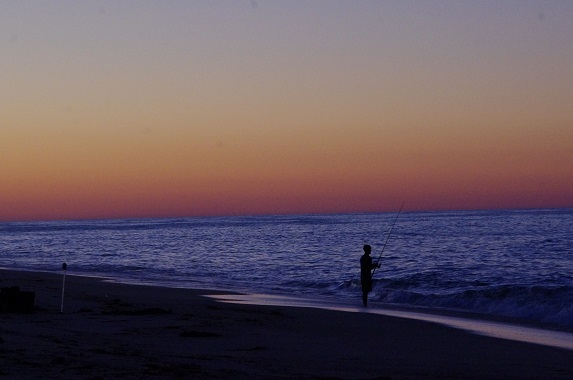 I usually visit Mashpee’s South Cape Beach early in the Cape Cod fishing season, when the bluefish are running. On a calm day, nearby Waquoit Bay can look like a giant mirror or pane of blue glass. 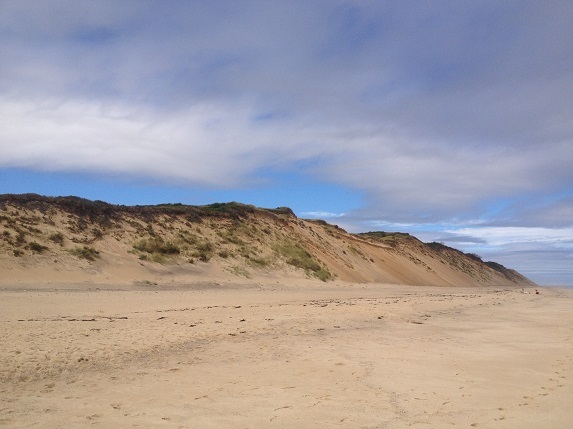 Numerous paths cut through the dunes and woods, with most leading back to the beach. The forest extends right to the water here, because this area has been protected from development. 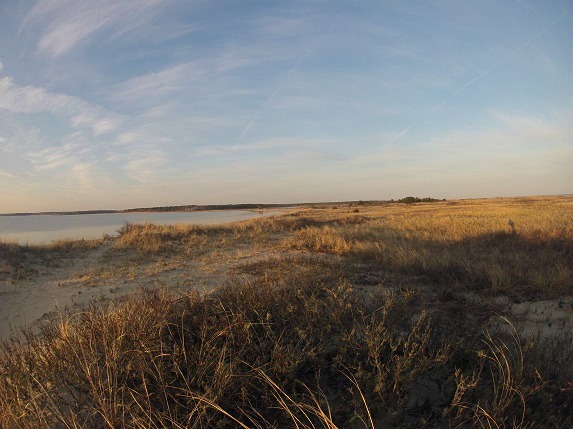 If the fishing is slow I will sit in the dunes in a spot that overlooks Waquoit Bay. If the timing and weather is right, the setting sun reflects perfectly off the bronze dunes and surrounding environment. Provincetown can be a bit busy during the summer season, which is why I most like visiting the Province Lands during the off-season. When I am here I find it impossible to remain on edge, or stressed. Those feelings float away when I am surrounded by waves of sand dunes and a rolling green forest. Unlike most of Cape Cod the Province Lands are growing. 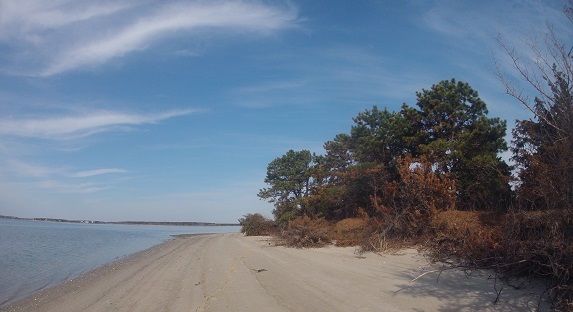 Sediment and sand is pushed ashore here by the currents of Cape Cod Bay and the Atlantic Ocean. 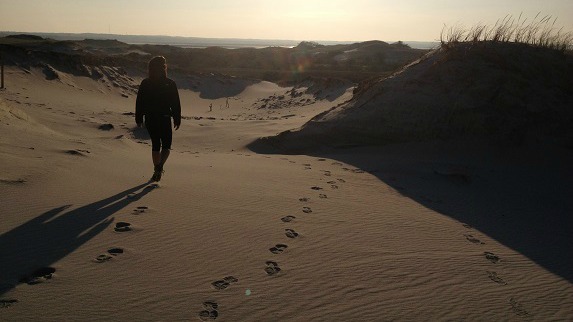 It’s taken thousands of years to build the sand dunes that border the Province Land’s ORV routes, bike trails and walking paths. 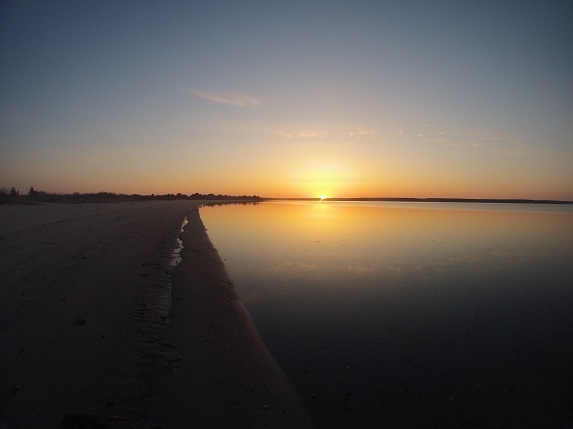 Provincetown’s beaches are a world renowned place to surfcast for striped bass and bluefish. From May through October you may even catch glimpse of the silhouette of a fisherman, casting a line into the cool waters of the Atlantic. 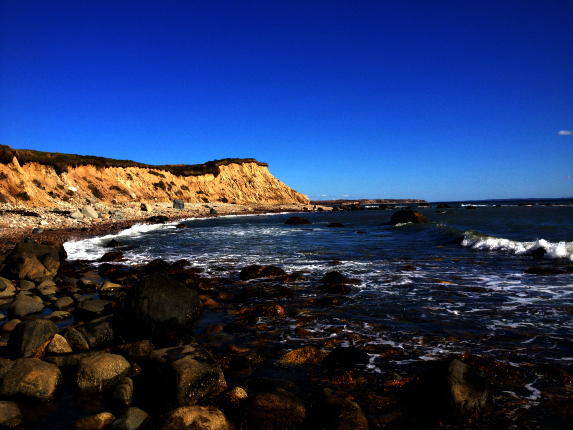 …to Ballston Beach is one of my favorites. The landscape here is immense and not as permanent as it may appear. Powerful surf, high winds and sweeping currents change the environment each day. 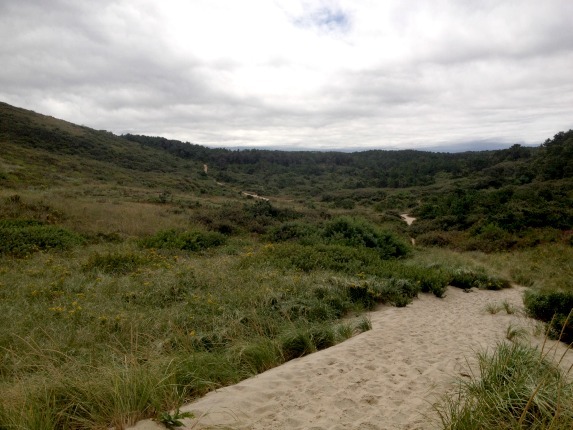 One of the best ways to explore this area is by hiking the Pamet Area Trail System at Ballston Beach. 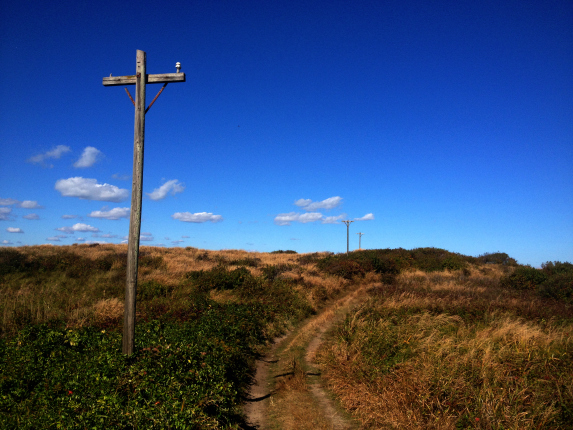 The trails meander through dunes and woodlands and past cranberry bogs and thickets. Wildflowers dot the landscape and provide some color against the blue backdrop of the sky and ocean. Towards the end of the hike the trail climbs upward and brings you to the crest of a dune. 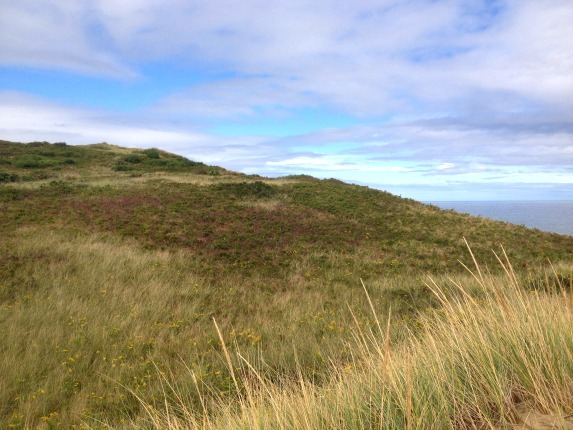 After climbing down the other side of the dune you will be greeted by the mighty expanse of the Atlantic Ocean. Miles of sand extend to the north and south for as far as the eye can see. 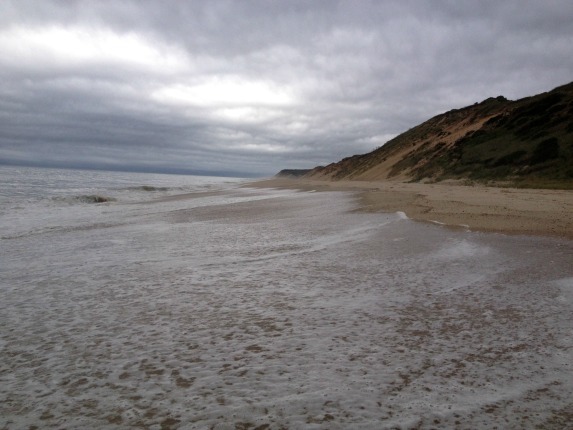 The cliffs of Truro and Wellfleet can be serene and peaceful at any time of the day, during any season. For an almost surreal experience, visit this area on a crisp, clear night, under a bright full moon. 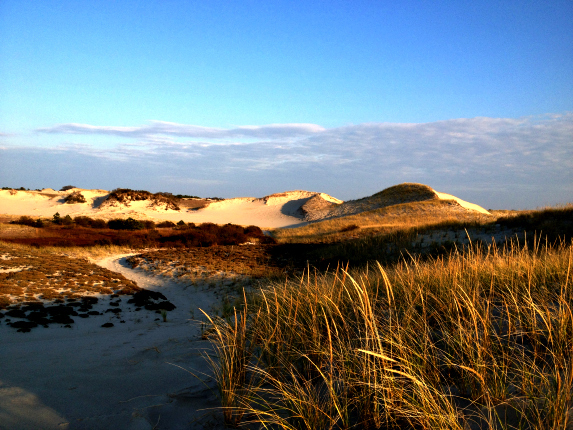 Sandy Neck beach is beautiful, but the dune lands behind Sandy Neck beach are nothing short of breathtaking. 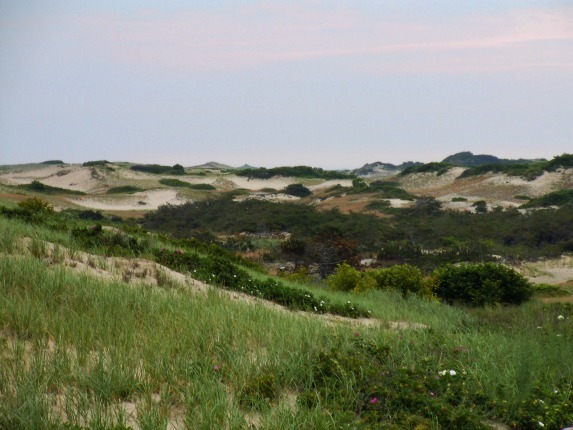 Interspersed throughout the dunes are small cottages and shacks. Deer, fox and coyotes can be seen throughout this 7 mile long barrier beach. At times the landscape is so foreign that it can feel as if you are walking on a different planet. 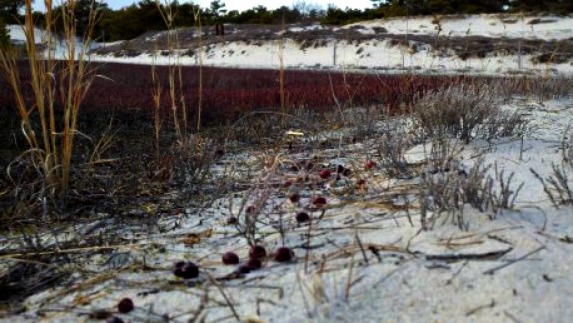 One of my favorite things to do here is eat fresh cranberries from the wild cranberry bogs. The air was thick with a calm and tranquil feeling as I stepped off the ferry and onto Cuttyhunk Island. 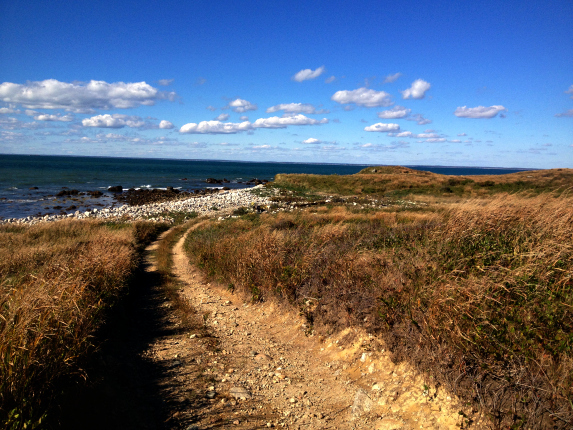 That peaceful easy feeling strengthened as I hiked Cuttyhunk’s southwestern shoreline, en route to the Gosnold Monument. Above the rocky shoreline I found an abandoned road, which weaved through woodlands, shrubbery and dunes. 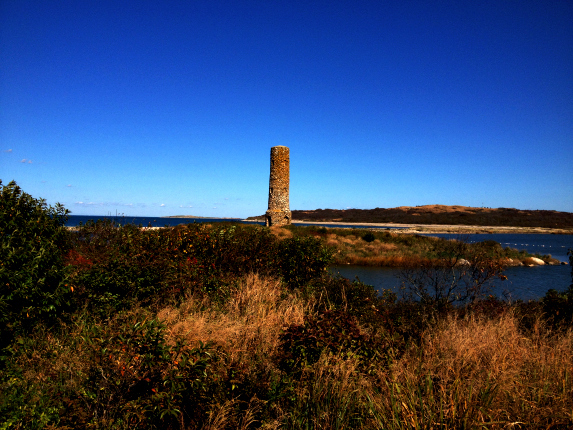 The road led me to West End Pond and there, in the middle of the pond, stood the Gosnold Monument. The monument was constructed in 1903 to commemorate Bartholomew Gosnold, who is credited with leading the first English expedition to Cape Cod in 1602. 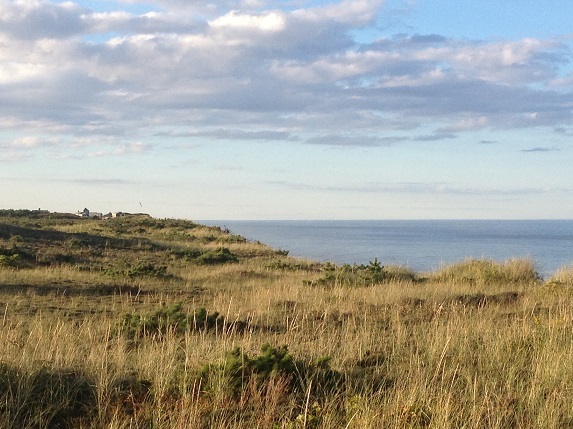 I can only imagine how quiet and wild Cape Cod must have been during Gosnold’s time. 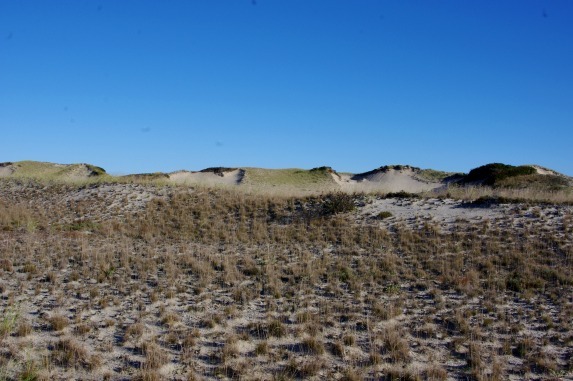 As I stood near the Gosnold monument I realized that some places on the Cape are still wild. You just have to do a little searching in order to find them. 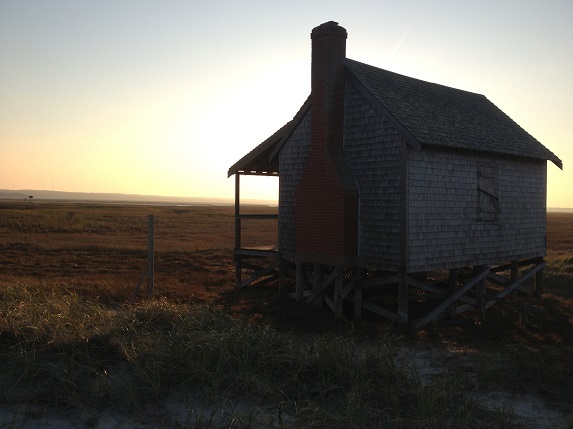 Where do you find peace and quiet on Cape Cod? Let us know by leaving a comment below.